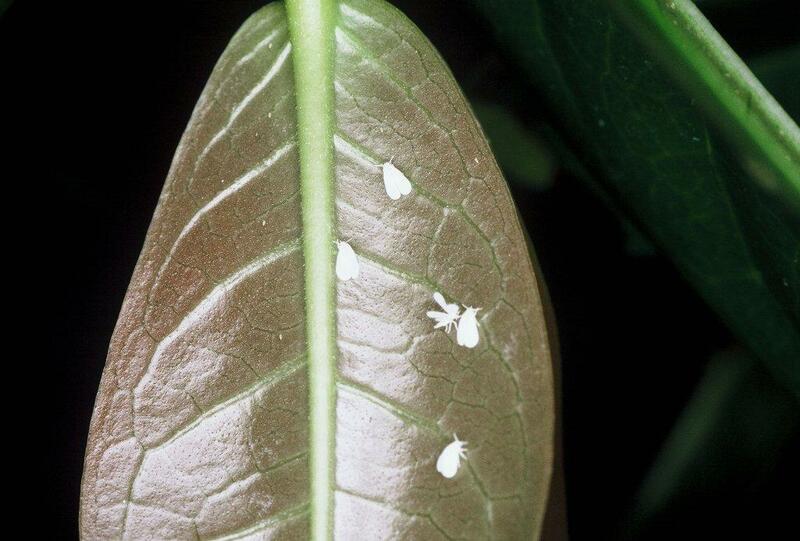 I recently figured out how to get rid of whiteflies, a chronic host of this pest, on our potted gardenia, a chronic host of this pest. Spray Bio Wash and get garlic into the root zone. Sprinkle dry granulated garlic on the soil surface and water with a drench of Garrett Juice and microbe product. Whiteflies are one of the harder to control insect pests, but as usual the organic approach works better than the toxic chemical approach. 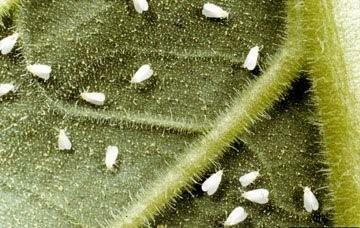 These pure white flies primarily attack weak plants that don't necessarily look weak. 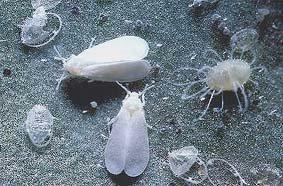 High nitrogen synthetic fertilizers are one of the main causes of this pest. They are the most troublesome in phosphorus deficient soils. Rock phosphate and well-made manure-based compost are these best tools for providing available phosphorus and preventing this pest. Other ways to rid existing infestations include spraying plants with garlic tea, garlic-pepper tea, or applying the fire ant control mixture. Another weapon is seaweed. Add it to any of the organic sprays and the control will be much more satisfactory. Stimulating beneficial biological activity with organic fertilizer, Garrett Juice and other natural soil amendments will also help greatly to control this pretty but annoying pest. In your greenhouse the yellow sticky traps are good to use as a monitoring device and will offer some control.